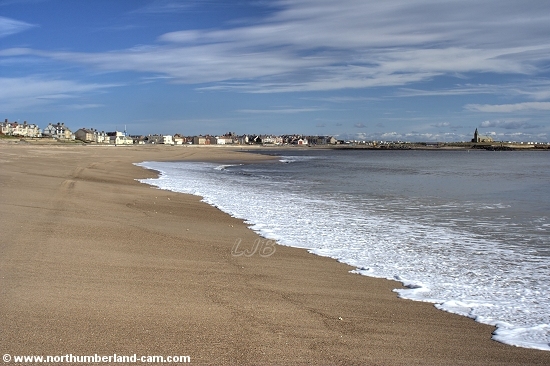 Beaches at Newbiggin by the Sea, Northumberland. 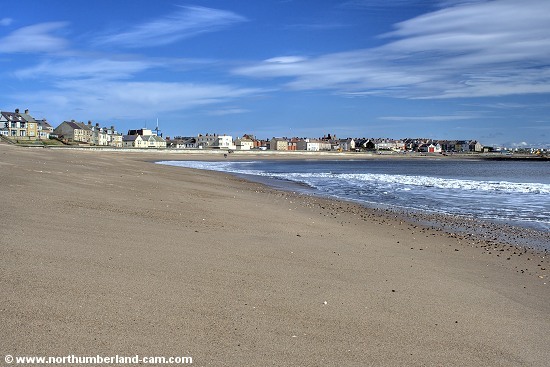 There are two main beaches at Newbiggin by the Sea - Newbiggin Bay is the beach most will know and the other beach is beside the moor and golf course. 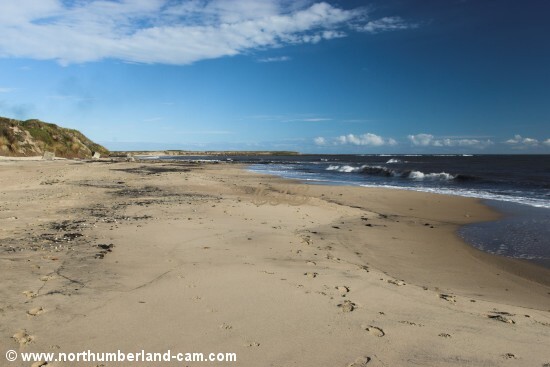 The beach in the bay became very eroded but was recently fully restored to it's former glory with thousands of tons of sand brought by ship from other parts of the UK. In years gone by this beach and promenade used to be packed in the summer holiday period. 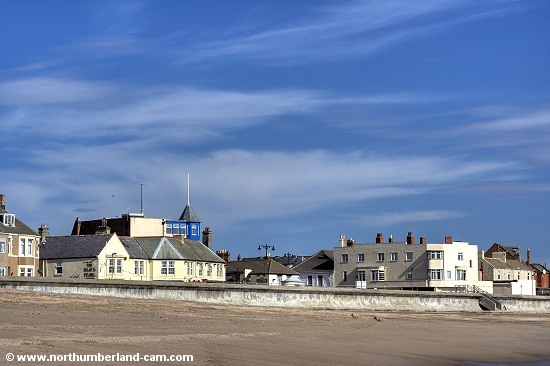 It was a typical seaside beach with many families arriving by bus or by train at the (long gone) station that was a short walk away. 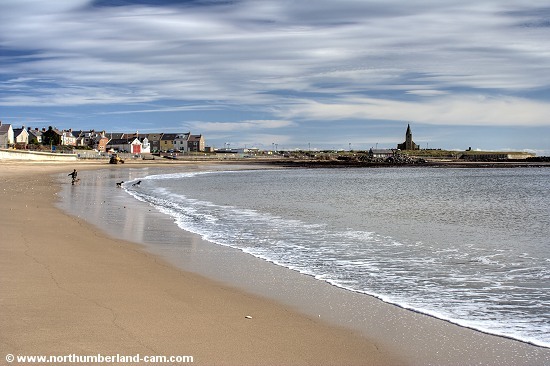 Those days are unlikely to return but Newbiggin Bay is once again a superb beach and it's popularity will no doubt increase again. One downside though for dog owners is that dogs have been banned from the new beach by the council. 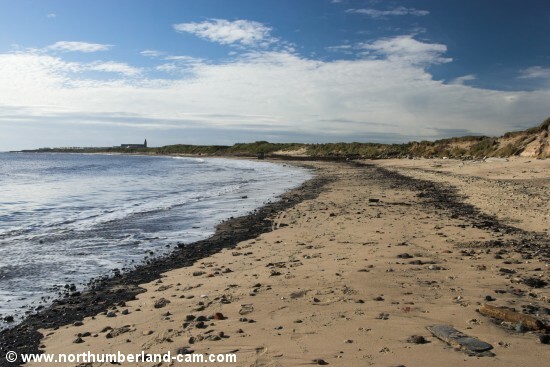 The beach beside the moor and golf course is much less used and altogether more natural, having no promenade beside it. 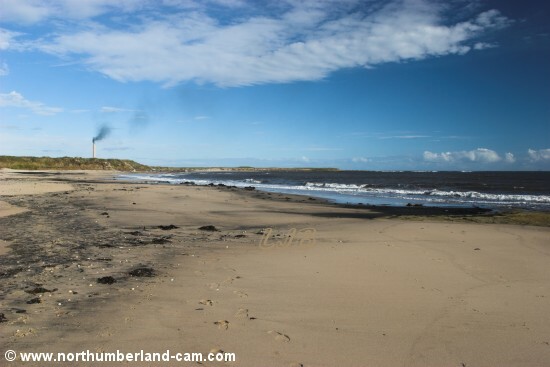 A good beach for walking, it is also still used for gathering sea coal at it's north end. 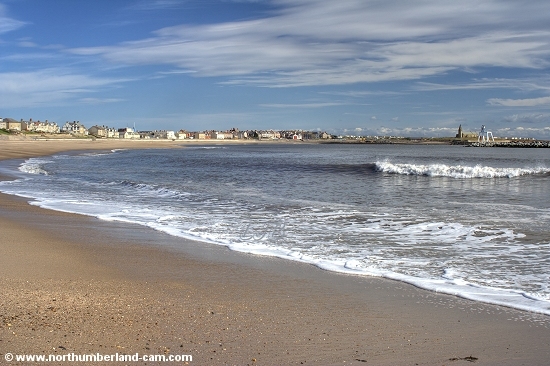 View along the beach at Newbiggin Bay. 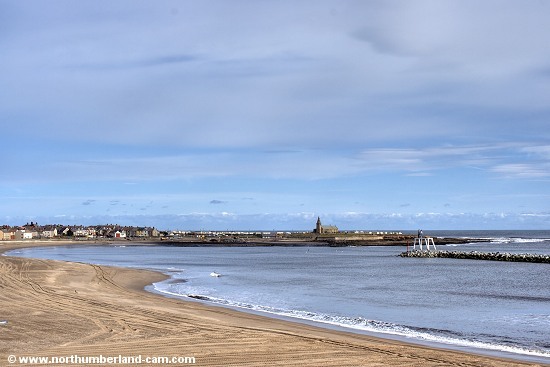 View of the sea wall, promenade and the Cafe Riviera - a well known Newbiggin landmark. View at the north end of the bay - before dogs were banned. 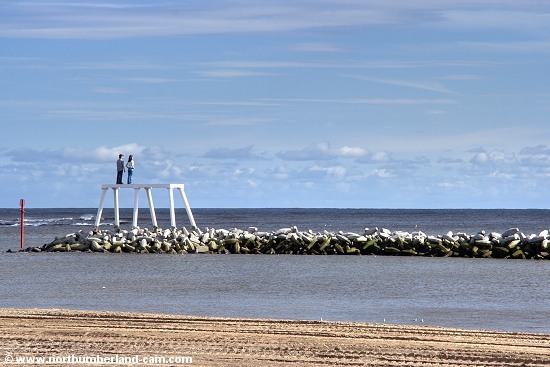 View from the beach to the breakwater and sculpture in the middle of the bay. View across the bay and beach to the Church Point. 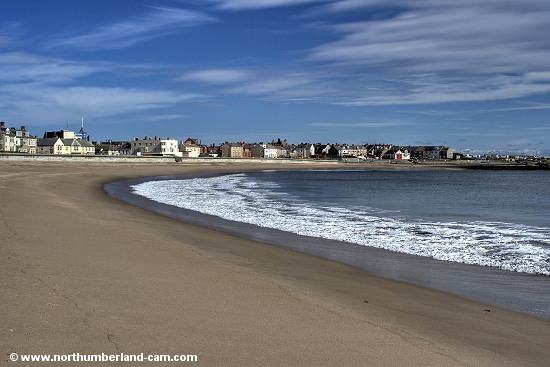 The other beach at Newbiggin is beyond the point. View along the beach beside the moor to Beacon Point. View along the beach looking south.